The exhibition shows confrontations and dialogues around artistic landscapes, looking at Italian Mediterranean culture through Italian and international artist’s works: Un Bel Panorama! 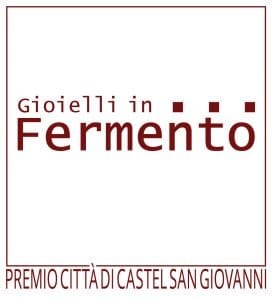 Gioielli in Fermento – Fermentation in jewelry – is an international contemporary jewelry competition, which is running since 2011 in historical venues of Italian Val Tidone, like Villa Braghieri Albesani, in Castel San Giovanni, Piacenza (Italy). The source of this project’s inspiration has its roots in the winemaking culture. As a metaphor for the fermentation process in wine, when a healthy, alive element of nature – the grapes – turn into a different form – wine, with a different taste, character and value. Constructing similar thinking about the process of creating contemporary jewelry – turning various materials into a special design, form and concept – jewelry. There are four main requirements in this competition: the coherence with a concept, the research on materials, the type of artistic expression and the quality of techniques. 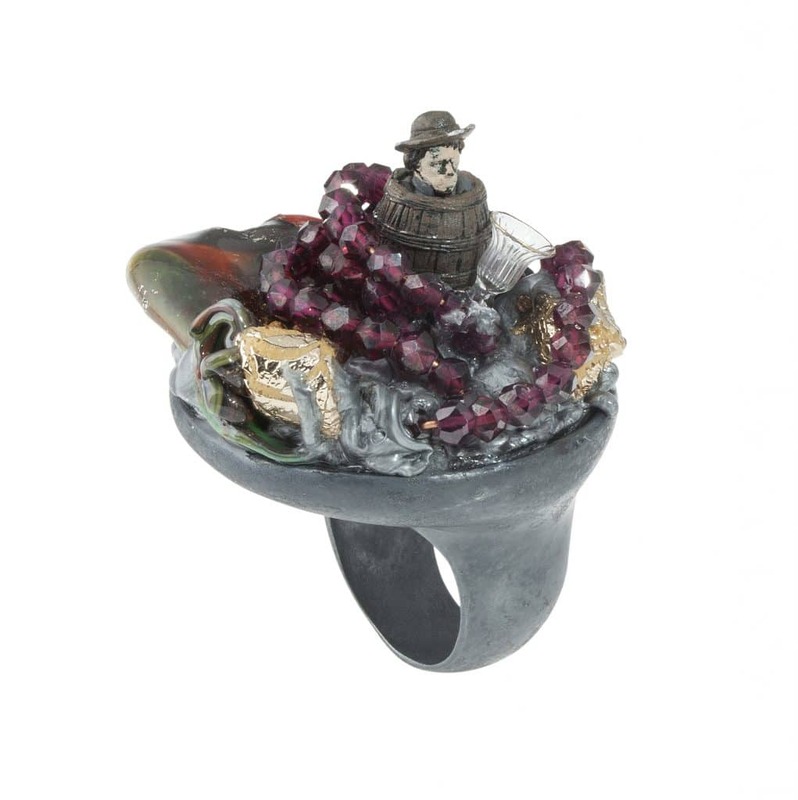 Winemakers and jewelry artists use their creativity to express and display these issues in a finished work. The result is an admirable piece of jewelry as well as a great wine. Over the years, the project has become an international project with the participation of well-known and established artists from all over the world in the field of art jewelry and represents the real “fermentation” in the world of art – concern, discussion, emotion. Eliana Negroni is the founder and curator of the project Gioielli in Fermento. She was born in Milan, graduated from Milan University and is engaged in industrial design. She has also completed Sommelier courses. She is a member of AGC, the Italian Association for contemporary jewelry, an important network in dialogue with all the international references in the area of jewelry research. E.N. : This project started with an inspiration from my two passions – wine and contemporary jewelry. 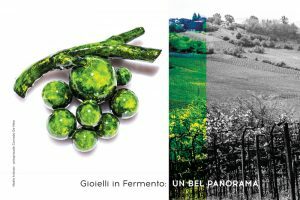 I would like to emphasize that this is not just a matter of drinking wine, but an insight into the history of its production, which has deep roots in the history of Italy as well as throughout the Mediterranean culture. This is a kind of conversation with wine lover’s audience who are interested in appreciating how the artist interprets his/her connection with wine. This is still a challenge for me and for the skills of the artists. It is not easy to find and show pieces that really match this idea through metaphors derived by their research in jewelry. The exhibition shows confrontations and dialogues around artistic landscapes, looking at Mediterranean Italian culture through Italian and international artist’s works: Un Bel Panorama!